Change your life now with an amazingly helpful, deeply insightful, spookily accurate Personal Horoscope Chart. On every page you'll find the advice you need to make your future, a better future. All you need to do is supply your birth details and we will supply you with a unique, fascinating report, all about you! Your future in amazing detail. Every major (and minor) astrological influence that will affect you personally. Not what's in store for your sign... but what's in store for you and how you can make the most of every moment. Your Guide to the Future is full of astonishingly accurate predictions and is unique to you alone. Your general outlook, your love-life and your finances. It's all here. A fascinating, in-depth look at what those cosmic forces really did have in mind for you when you first came into the world. Your Moon sign, rising sign, Your life, your luck, your challenges and your chances. Understand them. Make the most of them! Change your life! The big, long term astrological influences that are due to affect your personal birth chart over the next 7 years. 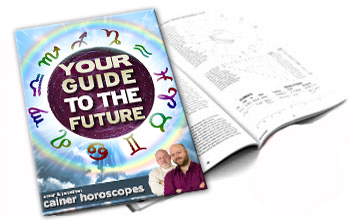 Discover the cosmic plan and put yourself in a brilliant position to negotiate with fate. What's really going on between you and your partner. How can you maximise the attraction, minimise the friction and really make your unique, special relationship as magical as it has the cosmic potential to be? Your chart reading will be calculated and delivered online in less than an hour. You will be able to read the many pages of your detailed report via your browser and also as a high-quality downloadable file, for you to keep and enjoy forever.